On a tire-scarred track in Las Vegas, a Chevy Corvette Stingray showed me the future of automotive data collection. A new app called the Performance Data Recorder (PDR) runs in the iconic sports coupe and can record video as you drive, track your 0-60 time, and show the current G-force level. Even better, the car saves the video and data to an SD card for later use. While the app won't debut until the 2015 Stingray hits showrooms this fall, I had a chance to test it out in a retrofitted 2014 model at the Spring Mountain Raceway just before CES. Taking a hint from the GoPro crowd, Chevy mounted near the rear view mirror a new camera that records in real-time at 720p resolution. A microphone records any cabin noise and commentary you make. Before I started driving, I touched the PDR icon in the MyLink display. You can configure the app to use Track mode with all features enabled, a Touring mode that only records video, a scaled down Sports mode that only shows speed and G-force, and a more metrics-driven Performance mode that shows speed test data. Being the adventurous type, I started with the full Track mode. Next, I pressed Start Recording. The curvy track at Spring Mountain starts with a straightaway, so I punched it up to about 120 before my first corner. Around each bend, I carefully adjusted the brake level, modified steering for the best angle, and punched the throttle. After the track drive, I pressed Stop Recording to save the file and data to the SD card. Then I pulled up a video with overlays that showed the speed, RPMs, steering angle, G-force, lap time, and a GPS map of the track. The overlays were easy to read, and there's an overall sense that the car is helping you by providing richer data. You can see how you handled each corner or your top speed on a straightaway, then adjust your driving, maybe deciding to push it a bit more and brake less around one specific corner. Once back at your computer, you can load the video and data into a new Windows app called the Cosworth Toolbox, which will be available next fall. The Toolbox is from the same UK company that works with pro drivers on performance analytics. In the app, you can see how your specific drive compares to an expert on the same track and even view short video clips of your drive side by side with video of a professional driver. The benefits of this kind of data collection aren't limited to closed tracks. It could help you drive better in the family sedan as well. Because the this kind of technology can record video and track steering, acceleration, and braking, it's easy to see how it could be used to help you analyze whether you're driving economically or not. For younger drivers, the data could be used as a teaching tool to show driving errors. Someday, every car could record scenic drives in a simplified touring mode for sharing with friends or just saving for posterity. 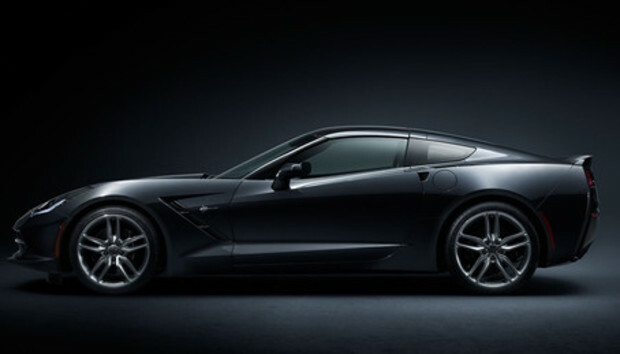 At a $51,000 base price, a track-rated 3.8 second time going from 0-60, and a 460-horsepower engine, the Chevy Corvette Stingray is already an extreme machine. Now, with this amazing new track app, the upcoming 2015 model will give you extreme track information.